Professional services in Engineering, Design, Sales and Installation of Air Conditioning systems, Ventilation and Mechanical Services. Arrange a free air conditioning consultation at a time that suits you. 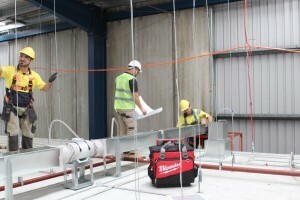 This gives us the chance to inspect your project and to understand your individual needs, allowing us to recommend you the best solution. 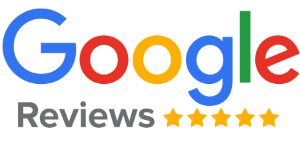 Once you’ve made your choice from our wide product range and major brands, our qualified and experienced technicians will install and train you on your new air conditioning system. We put the customer first, that’s why we offer ongoing air conditioning service and maintenance. If anything goes wrong with your system, we’ll get it up and be running again as quickly as possible. 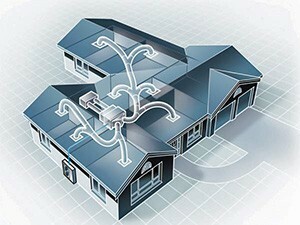 Save on your cooling costs using a multi head split system! 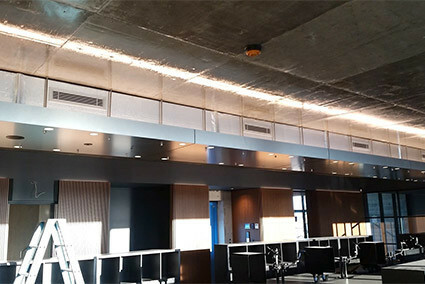 Maxim installs multi-split system air conditioners in Sydney from reliable brands like Daikin, Actron Air, Mitsubishi Electric and Samsung. Beat the summer heat! 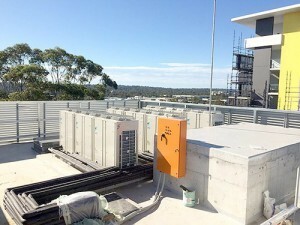 Maxim installs quality split system air conditioners in Sydney NSW from the most trusted brands in Australia at competitive prices, including Daikin, Samsung and Mitsubishi Electric. You can control the climate in multiple rooms using a single ducted AC system, with quiet operation and no bulky units taking up wall space. 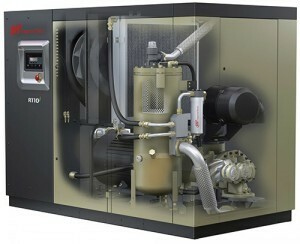 MaXim can install a Ducted Air Conditioner in most buildings. 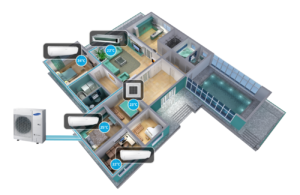 Meet AirTouch, the smartest Aircontrol system yet. 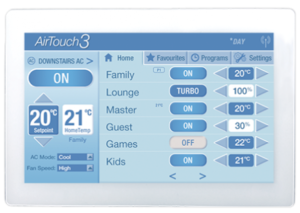 With remote app control from your smart device, AirTouch is an integrated, all in once control and zone management system for your air conditioning unit. 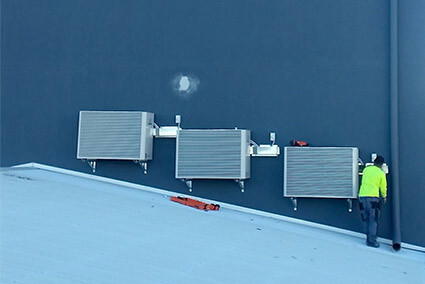 The ultimate air conditioner for a large commercial building or home is a VRF system - AKA VRV Air Conditioners. Individual zone controls. Inverter technology. Energy efficient. Total flexibility. Ducted Gas Heating is the most energy-efficient and cost-effective option for heating a medium to large home or commercial building. 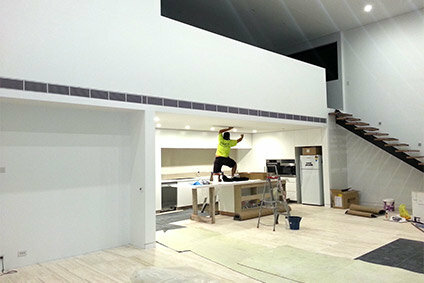 We install, service and repair ducted gas heating in Sydney NSW. Enjoy fresh air, comfortable temperatures and banish mould and bad odours with mechanical ventilation systems from Maxim. Homes and commercial or industrial. For kitchen, garage, bathroom, car park, etc. 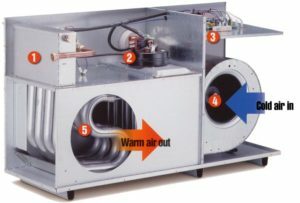 Packaged air conditioning is a cooling and heating system in a single unit. Save space and avoid the need to install separate indoor and outdoor units. For offices, shops, supermarkets, restaurants, etc. 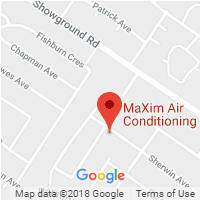 If you have a problem with your air conditioning system, contact Maxim Air for air conditioner services and emergency aircon repairs in all Sydney metropolitan areas. 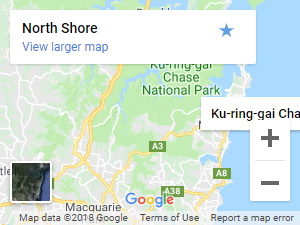 Do you live on the North Shore? MaXim Air can install a custom air conditioning system tailored to your local climate and environment. 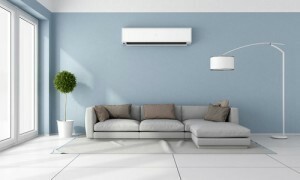 We have installed and repaired AirCons across Sydney for over 10 years. 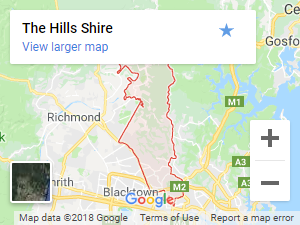 Castle Hill based Maxim Air has installed and serviced air conditioners in the Hills Shire District for over 20 years. 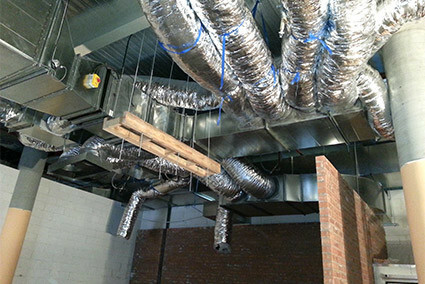 Our experienced technicians can design, install and service a custom A/C system for you. Contact us today. Consult free of charge with a MaXim Air Conditioning expert. 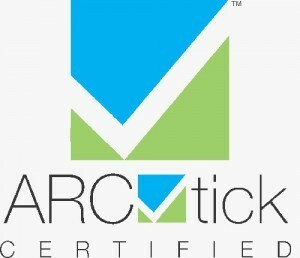 Our seasoned knowledge and expertise will guide you to making the best decision based on your A/C needs and environment. Many of the units we install are fitted with filters that reduce pollen, dust, mould and other allergens.